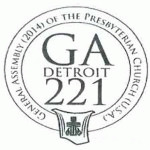 >The Presbyterian Church (USA) (PCUSA) is holding its biennial national General Assembly this week in Detroit, Michigan (June 14-21). A number of overtures (resolutions) will be debated and voted on during the Assembly by 654 commissioners (elected representatives). One overture before the Assembly will offer Presbyterian General Assembly commissioners the opportunity to have the denomination divest from three major corporations -- Caterpillar, Hewlett-Packard, and Motorola -- that profit from Israel's occupation of Palestine. As of December 31, 2013, the PCUSA Board of Pensions' total investment assets were $9.2 billion. The PCUSA has a membership of over 1,800,000 members related to 10,262 congregations. The overture on pension funds and the Palestinian occupation has been presented to the General Assembly by the PCUSA's "socially responsible investment committee." It is a hard-hitting overture that follows 10 years of failed discussions with representatives from the three targeted companies. Church holdings in those companies will not have a major impact on profit and loss statements, but a divestment decision would be a major blow to the public image of the corporations, that all-important public face which leads big corporations to spend considerable money, time and energy, to protect and polish. A vote for divestment would also further tarnish Israel's international reputation, that precious commodity which Israel's hasbara (propaganda) programs also labor mightily to protect and polish. Previous religious divestment actions have come nationally in the Mennonite Church, and within the Quaker retirement fund. Other divestment victories have been won in regional bodies of the United Methodist Church and the United Church of Christ. Most recently, the Pension Board of the national United Methodist Church joined the Bill Gates Foundation in divesting from G4S, a British-based corporation which runs services for cash transportation and prison management in more than 125 countries. Israel's prison system in Palestine uses the services of G4S, a moral concern that played a part in the United Methodist Pension Board's decision to withdraw portfolio funds from G4S. Liz Ingenthron, writing in her pro-divestmenet Jewish Voices for Peace blog, emphasizes a point often misstated or ignored in pro-Israel media outlets: The divestment resolution does not call for divestment from Israel, from Israeli companies, or from Jewish-owned companies. Rather, it mandates that the church's pension board specifically divest from three multinational corporations doing business in Occupied Palestine. 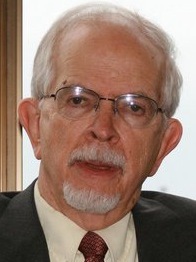 Presbyterian layman Robert Ross is an Assistant Professor of Global Cultural Studies at Point Park University, in Pittsburgh, Pennsylvania. His research and teaching focus on the political-economic geographies of Israel, Palestine, Lebanon and the United States. "The [PCUSA] does not invest in any companies that sell weapons, regardless of where, how, and by whom they might be used. "The three companies on the divestment docket this year -- Caterpillar, Motorola Solutions, and Hewlett Packard -- are in clear violation of this policy.